Single Trip vs. Annual Plan – Best Insurance for Snowbirds? For Canadian snowbirds, travel medical insurance is an absolute must. However, choosing the best type of travel insurance policy to meet your specific needs isn’t always easy. Snowbirds generally have the option to choose between two types of travel medical insurance plans: Single Trip Plans and Multi Trip Annual Plans. The type of policy that’s right for you – both from a coverage and pricing standpoint – will depend largely on your travel plans over the winter and throughout the year - and how long you expect to be outside your province of residence in one stretch. This practical guide can help you better understand the difference between the two types of insurance plans, and determine which option might better suit your needs. What is a Single Trip Travel Insurance Plan? Single Trip Plans are purchased on a per trip basis each time you leave your province of residence and the coverage period is based on the specific travel dates you provide at the time of purchase, specifically, your scheduled departure and scheduled return dates. If you plan on coming back to Canada at any point over the winter and then returning to your winter destination, you may still be able to purchase a single trip plan, but it would need to cover the entire period, including the days you are back in Canada (even though there are no benefits while you're back home). For example, if you plan on being away for the winter from January 1 – April 30 and returning to Canada for one week at the beginning of March, your coverage period would need to be January 1 – April 30. Make sure you speak to your agent or broker before purchasing a plan like this to ensure your policy allows it. It’s also important to be aware that if you have a change in your medical condition, a medical episode, or a change in your medication while you are back in Canada, you may be denied coverage if you need medical attention when you return to your winter destination. Again, make sure you speak to your insurance agent or broker before you buy to ensure you understand the risks and the terms of your policy. Premiums for Single Trip Plans are based on your age, health status and the duration of your trip, and if your trip is cancelled or cut short, you may be entitled to a full or partial refund, subject to an administration fee. Who Should Consider a Single Trip Travel Insurance Plan? Don’t plan on travelling much outside their home province at other times during the year. What is a Multi Trip Annual Plan? An Annual Plan, also referred to as a Multi-Trip Plan, allows you to purchase your travel medical insurance policy on an annual basis, giving you coverage for an unlimited number of trips over a full year up to a maximum specified number of days per trip, for example 15 days or 31 days. Longer durations may also be available; check with your insurance company. Remember, when counting the number of trip days, your departure date is considered “Day 1” of your trip. The benefits, limits, conditions and exclusions for both Per Trip Plans and Annual Plans are similar. The main difference is that the former ends once you return to your province, while the latter ends 365-days from the date originally purchased. When considering purchasing an Annual Plan, you’ll want to look closely at the maximum number of days per trip you are allowed to be outside your home province. The longer you’re allowed to be away per trip, the more expensive the coverage is. Typical maximums are 15, 21, 31 and 45 days, while some policies allow for longer periods. This can be an issue if you’re a snowbird who intends to stay outside Canada for several months at a time, as you would exceed the number of days per trip you are allowed to be away, causing you not to have coverage beyond your applicable duration. However, in most cases Annual Plans have a solution for this issue, commonly referred to as “Top Up” coverage. It works like this: If one of your trips is longer than the maximum number of per trip days allowed under your Annual Plan, you can contact your insurance company to purchase top-up coverage for the extra number of days that you need for that one specific trip. It’s always best to purchase Top Up coverage at the time you purchase your insurance policy - particularly if you’re purchasing your policy prior to your first trip and you know your trip dates. However, most policies don’t require you to buy Top Up coverage before you leave on your trip, provided you contact your insurance company to purchase it within their specified period prior to the end of your trip and you do not have a cause for claim. Although not ideal, this can help you in a pinch if your travel plans change, but make sure you know your insurer’s policy on Top Ups before you depart on your trip. How does your insurer’s Top Up policy work? What is your insurer’s policy with respect to how and when you need to buy Top Up coverage? Is there a maximum number of Top Up coverage days you can purchase? How much does it cost to purchase Top Up coverage? It’s more expensive the longer the Top Up period is. 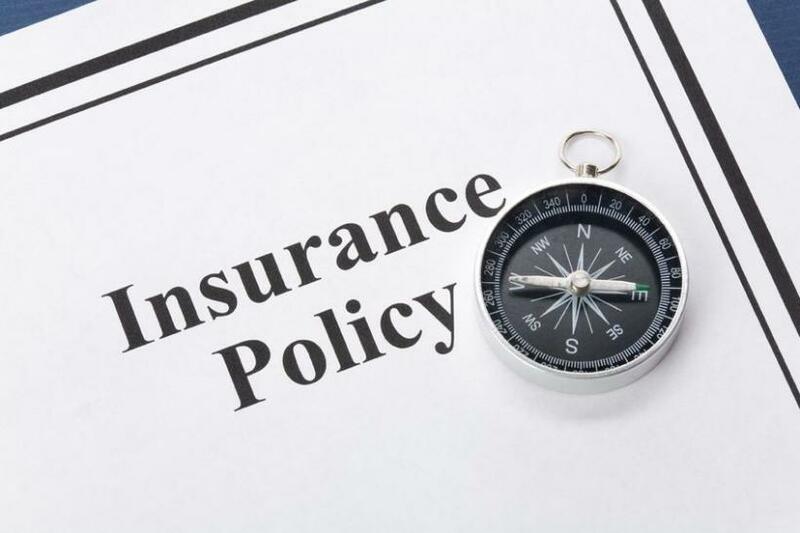 With respect to renewals, some insurance companies may automatically renew your Annual Plan policy each year if you don’t require a medical questionnaire. If this is the case, you should receive a renewal package prior to the renewal date showing your renewal premium, as it may have changed since the previous year. If you have moved into the next age bracket, your premiums will likely increase. If your Annual Plan policy does not automatically renew, you should still receive a notice prior to the anniversary date so you can re-apply before your policy expires and ensure that your coverage is uninterrupted. Who Should Consider a Multi Trip Annual Plan? Annual Plans can be an extremely convenient option for snowbirds who are frequent travellers, and can sometimes be a more cost effective solution than Single Trip plans, depending on how often you travel and the length of your trips. Snowbirds who go back and forth from Canada to their winter residence will often tailor their stays to remain within the 30 or 35 days that their Annual Plan allows, thus not needing to go to the extra expense of a top up. Single Trip Plans and Multi Trip Annual Plans have the similar enrollment requirements. For example, depending on your age, you may be required to answer a medical questionnaire prior to enrolling. If your Single Trip or Annual Plan did not require a medical questionnaire, your coverage will be subject to the policy’s Pre-existing condition period or Stability and Eligibility clauses. These will apply from the date you depart on your trip, not the date you purchased your trip. If there is a change in your medical status between the date your enrolled and the date you depart on your trip, you must contact the insurance company to update them about your medical conditions. If you have an Annual Plan and your medical condition changes in any way during your year long coverage period, be sure to inform your insurance provider right away, as this might affect your coverage. This includes a change to your medication, or a new medication. Finally - Ask your agent or broker BEFORE you buy! When you’re speaking to your agent or broker about purchasing or renewing your snowbird travel insurance policy, make sure you ask them to compare single-trip plans vs. annual plans. To help make this process go smoothly, be sure to have a good idea of what your upcoming travel dates are. compare plans and recommend the best option for you based on coverage, price and your travel plans.